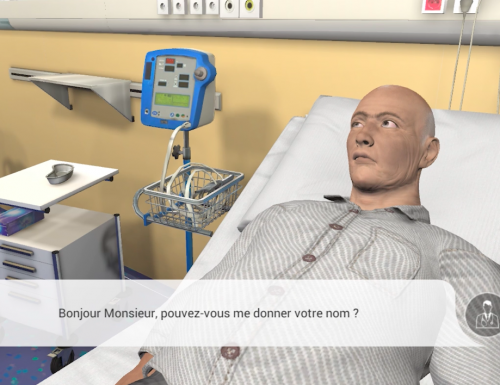 When we were thinking hard about how to create a health care simulation platform at Bordeaux, with various traditional and innovative tools, the University Hospital of Bordeaux wanted to develop some “serious games” with the aim of complementing the educational curriculum of medical students. There are, though, some very special constraints at the Bordeaux faculty, because of the very large number of students, which represent the second largest “2nd cycle” (clinical phase) cohort in France. We therefore had to create a shared platform, including the SimforHealth proposal with “serious games”, because that was a way to reach all the students. At Bordeaux, not all students in the “2nd cycle” have access to all the flagship clinical services. It was in this context that we wanted to incorporate “serious games” into the curriculum as a complementary training opportunity. The stroke case was built up around the curricular components of the “second cycle” which are shared by all students in France. In 2017, stroke is a condition which future doctors must have knowledge of. As a doctor, one has to be familiar with stroke because it is a key component of the neurology curriculum. The idea therefore was to offer this case to all Bordeaux students on an open platform like e-learning. Given the very large number of “2nd cycle” students, they cannot all do a clinical placement in neurology and will not all have the opportunity to see a real stroke case. 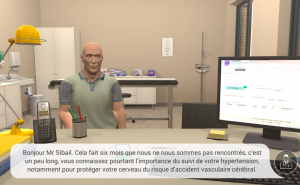 The aim of this virtual clinical case is therefore to use virtual reality to train students in the management of stroke, even if they have not seen one in real life. The idea is, in partnership with SimforHealth, to create a training platform for medical students in the “2nd cycle”, with a view to possibly extending it to the paramedical professions, and then to interns. The Medical Faculty at Bordeaux wants to target all students in the “2nd cycle” and the official medical curriculum. 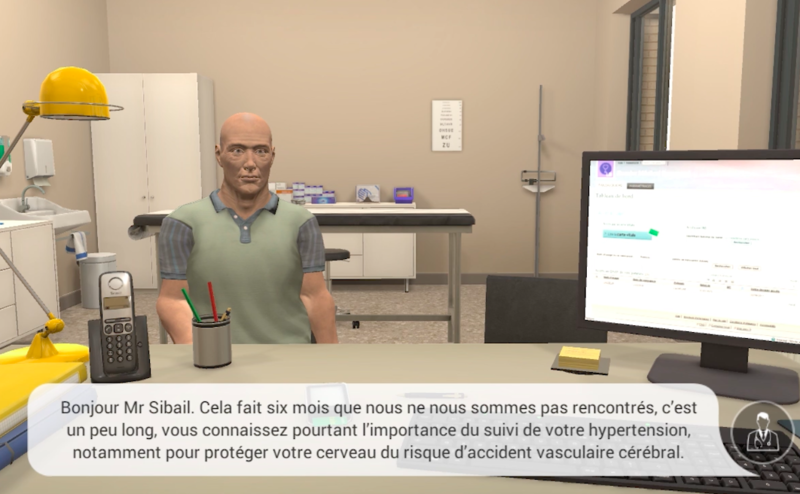 Other virtual clinical cases are in the process of development and will be added to the educational curriculum of “2nd cycle” students at Bordeaux. To keep up with all our news, don’t forget to follow our Twitter feeds.